Very Good. 1933372443 ALL BOOKS SHIPPED WITHIN 1 DAY OF PURCHASE! Very Good. 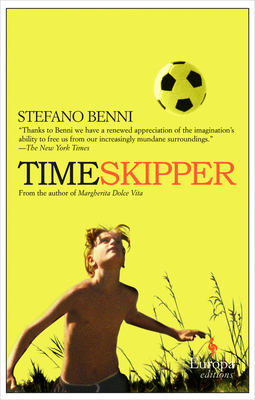 Timeskipper by Benni, Stefano, 2008-04-01. Trade paperback (US). Glued binding. 390 p.
Timeskipper is a creative use of fiction to drive home various points about the greed and corruption of Italian politics and globalization. I had a hard time putting it down because the characters were so real and the situations the child faced growing up were so funny. The idea of being able to see the future through an internal duo clock was first rate.